If you need to sell your house fast in Connecticut we’d like to make you a fair all-cash offer. We’ll even guarantee that offer and can have a check in your hand in as little as 14 days. Our open criteria allows us to buy houses as is – in any condition. We are here to help take over the burden of your unwanted property. That means you’ll be free to leave and not waste another weekend cleaning out one of your family members houses, dealing with surmounting repairs, or facing the necessities, costs, and time of bringing a house to market with a traditional real estate agent. If you have a property and need to sell it… we’d like to make you a fair cash offer with no obligation and close when you’re ready. Sometimes selling a house the traditional way with a real estate agent is simply not the best for everyone. As you know, there can be lots of pitfalls when selling a house with an agent, including: having to clean up and repair the property so it shows well, finding an agent whom you trust and can deliver on their promise (able to sell your house quickly in Connecticut), contracts that binds you to an agent for a certain term, the piles of paperwork you have to sign, shuffling paperwork back and forth from buyer –> agent –> to you… and back. We will do all of this for you. We are problem solvers for unwanted houses or property. We buy houses in any condition in Connecticut or offer options for those that would like to keep their home. We at Micadam, LLC work differently. We will provide you a fair all-cash offer on your house, or purchase with terms, within 48 hours of submitting the short property info form on this page and can close when you would like. If the house is in terrible shape and you don’t want to (or can’t) fix it up… no problem. We are contractors that will repair houses so you don’t have to. If you need to sell your house quickly, we can close in as little as 14 days. 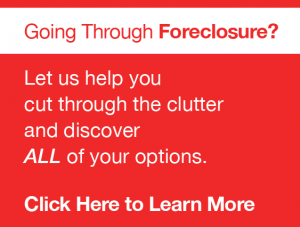 We buy houses in Connecticut with cash and don’t have to rely on traditional bank financing or responses.